In a pan add the butter and oil, and bake onions, garlic and pepper. Add the paprikas and finally the tomatoes. Let simmer for about half an hour. 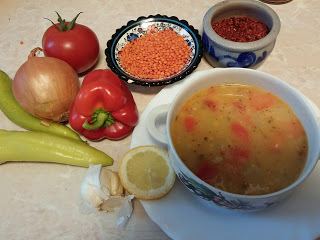 Add the lentils and cook by boiling.